The first of the annual winter/New Year dips has taken place at the Western Undercliff. 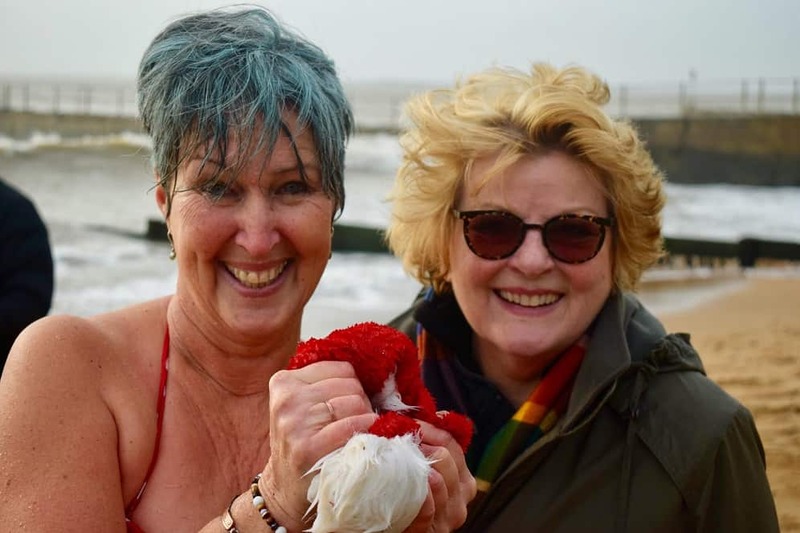 Brave and bonkers swimmers rushed into the waves following the countdown by actress and Ramsgate patron Brenda Blethyn. Brenda also presented all the participants with their medals. During the dip a collection was made towards the Western Undercliffe Regeneration Fund. The dippers were caught on camera by Ramsgate photographer Brian Whitehead. Queen’s Head New Year’s Day dip on Ramsgate Main Sands. All those taking part will meet at the pub at 11am, taking the dip at noon. There will be soup, rolls and live music at the Harbour Parade pub afterwards. All proceeds go to Ronald McDonald Houses and for anyone wanting to take part sponsorship forms are available from the bar. 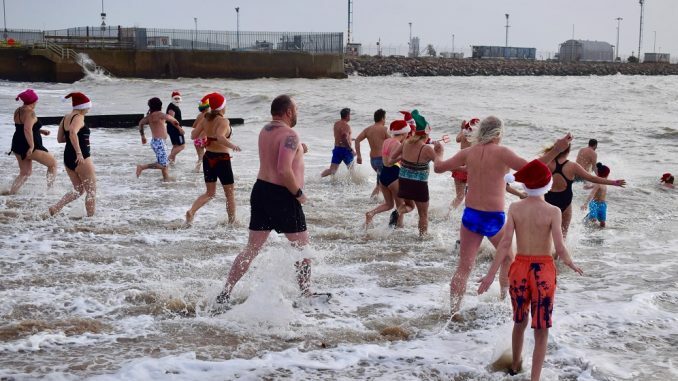 The Walpole Bay Swimmers are planning a New Year’s Day swim at the tidal pool at 1pm. Curry and music from Paul One Love after. All donations welcome and volunteers neede to carry the charity buckets on the beach that day.